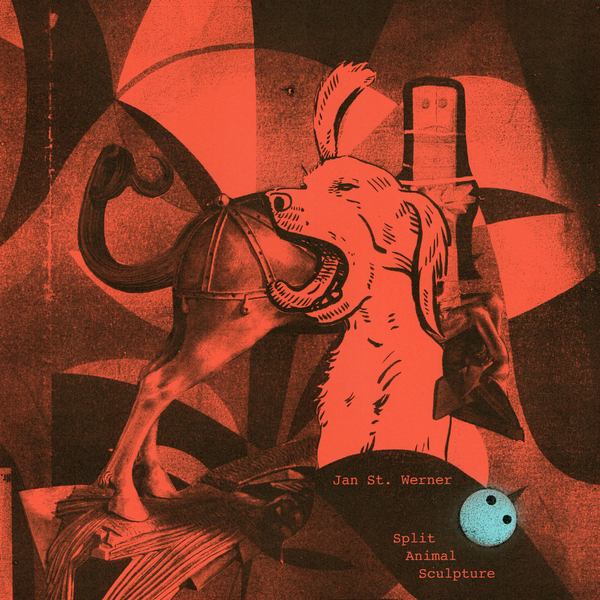 "Infinite Greyscale presents a new long-form composition by Jan St. Werner, Split Animal Sculpture, a companion piece to the artist’s ongoing Fiepblatter series on Thrill Jockey, Jan St. Werner (Mouse on Mars, Lithops, Microstoria, Von Südenfed) has been at the forefront of forward thinking electronic music for over twenty years. As an artist concerned primarily with sound as a sculptural material, St. Werner has also exhibited his work in museums and his numerous collaborators include Rosa Barba, Markus Popp, Mark E. Smith. As the title Split Animal Sculpture suggests, this piece manages to sound simultaneously biotic and fabricated. An impressionistic rendering of church bells and organ drone is suggestive of a large man-made structure, while in-between can be heard the flutters and whistles of something animated navigating it’s way through the reverberating buzz. This circling and spatial piece illustrates St. Werner’s intelligent approach to creating sound that has both weight and aerodynamic energy. 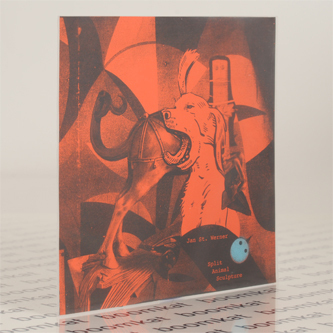 Recalling the electro-acoustic atmospheres and alien tones of the late Bernard Parmegiani, St. Werner has once again produced a timeless piece of sonic terrain."